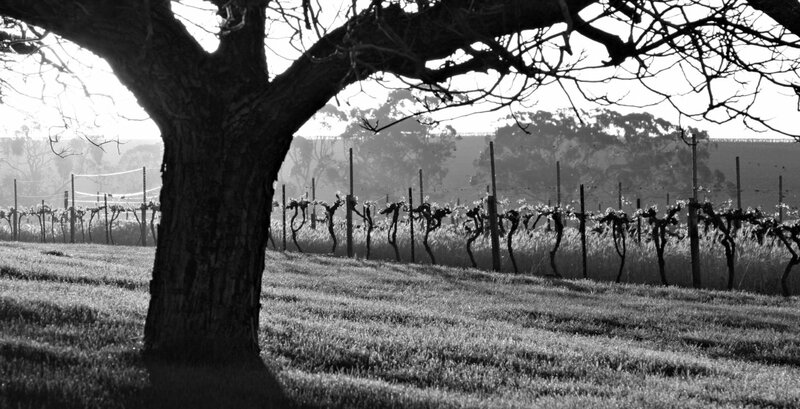 In the 1940s wine merchant Leo Buring purchased the Florita site at Watervale, towards the southern end of South Australia’s Clare Valley. He planted the sherry varieties, pedro ximenez and palomino, and, believes winemaker John Vickery, a little crouchen (known then as Clare riesling), trebbiano and shiraz – but not riesling. Buring established, as well, a winery and cellars – Chateau Leonay (now Richmond Grove) – at Tanunda, in the Barossa Valley. In 1955 a young Roseworthy College graduate, John Vickery, became winemaker for the ageing Leo Buring at Chateau Leonay. John made both table and fortified wines and recalls ‘a terrific flor sherry solera’ that’d been established by Buring using flor yeast cultures that he’d pirated from Spain’s Xerez region. The sherry in the solera, made from grapes grown on the Florita vineyard, was sold under Buring’s ‘Florita Fino’ label – probably the first wine to bear the vineyard name. Six years after Vickery joined the firm, Buring died at the age of 85. A year later, in 1962, Lindemans purchased the Buring business and retained John Vickery as winemaker. By the 1963 vintage, with new protective winemaking equipment in place at Leonay, Vickery was poised to make the great Leo Buring rieslings – many from the Florita vineyard – that earned 50 trophies and 400 gold medals by 1997. By the mid eighties, Lindemans, now owned by Philip Morris, began selling assets including the Florita vineyard. These were fairly tough times for the wine industry, but long-term Clare company, Jim Barry Wines, seized the opportunity, albeit at a stretch. “We sold five acres with some vines and a house. We had to. But we kept seventy-five acres”, recalls Peter Barry. That little slice of Florita was sold to local artist Ian Sanders, who estalished clos Clare in 1993 and engaged Jeffrey Grosset to make the Riesling. Noel Kelly purchased clos Clare from Ian in 1996 and ran the business as his retirement from the petroleum industry until 2007. At this time Noel offered the 5 acres of vines and the house back to Peter Barry, who purchased it with his two sons Tom and Sam. Since then the boys have run clos Clare and continue to make the Watervale Riesling from the origional clos Clare 5-acre parcel in the South-West corner of the Florita vineyard.